Major expansion plans have been unveiled by a fast-growing law firm which has become one of the first in North Yorkshire to gain Alternative Business Structure (ABS) status with regulatory body the Solicitors Regulation Authority (SRA). Pictured (L to R) are husband-and-wife legal team, Chris and Sarah Newton with head of residential property, Heather Johnson who becomes a director with the firm achieving ABS status. After growing from a ‘sole-trader’ standing start to £2m group turnover and 50 staff in four years, the Newtons Solicitors group, which has six offices in North Yorkshire and Durham, is to bring in non-lawyer professionals to chart its course to further business expansion. ABS status for law firms allows non-lawyers to invest in legal practices as well as manage them. The SRA started licensing ABS law firms at the start of 2012 when The Law Society started accepting ABS applications. The Council for Licensed Conveyancers, is also a licensing authority. “Gaining an ABS license is about running our group as an efficient commercial enterprise as we recognize that the best business people and managers are not necessarily qualified solicitors. “Now we have ABS in place, we plan to recruit a professional finance director and, in time, an experienced managing director. Heather Johnson will also join the board of directors after helping build Newtons seven- solicitor strong property team. “ABS removes the barriers which could hinder our growth and enables us to better compete with larger organisations which we see entering the legal market. Newtons, which started as a virtual law firm run from Chris Newton’s home, opened its first office in Knaresborough in 2010 after achieving a £300,000 first year turnover. The firm’s second year trading saw it achieve £578,000 turnover and acquiring an office in Ripon and one in Harrogate. This year the firm opened an office in York and founder Chris Newton and his wife Sarah, a fellow director, acquired Hodgsons and Mortimer Solicitors which has offices in Darlington and Richmond. 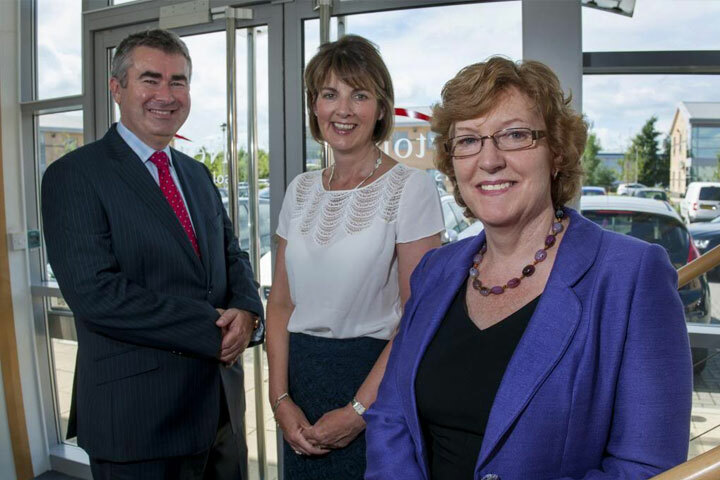 Newtons Solicitors, which announced 75 per cent growth in 2012, operates across a broad spectrum of legal disciplines.